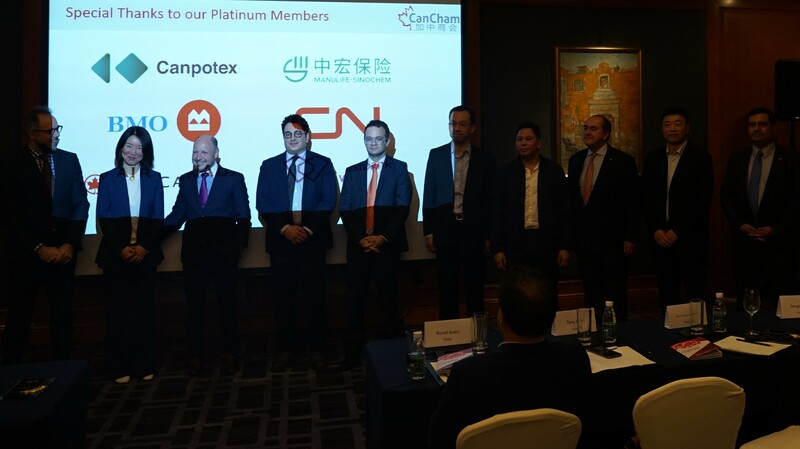 The CanCham AGM 2019 has concluded with the election of a new Board. The Canadian Chamber of Commerce Annual General Meeting 2019 has concluded with the election of a new Board. The Board will hold a mandate for 2 years, until the AGM in March 2021. Ten members have been elected, and will soon internally elect the Board Chair and Vice-Chair positions. Olivier is the General Manager – Asia Pacific for Soprema Canada, managing sales and operations for China, SE Asia and Australia. After graduating from McGill University, he relocated to China in 2007, managing various subsidiaries of Canadian companies since then, giving him a wide-range of experience managing businesses in China. Olivier sat on the board of Cancham from 2012 to 2016 and was vice-chair of the board for those last two years. 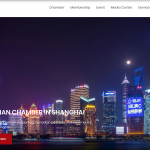 Mark is the founding chairman of the Canadian Chamber of Commerce in Shanghai. He has lived and worked in China for 15 years and, during that time, has been a keen supporter of the Canadian business community. Mark estbalished and become President of Red Gate, a successful PR / Marketing company in 2005. The company has operations in Shanghai, Toronto, and Singapore and is engaged in brand promotions through events and media, especially in China. A native of Windsor, Ontario, with a PH.D. from the University of Toronto and a former faculty member at Ryerson University, Mark is proudly Canadian. Mikael has completed a master’s in law at the City University of Hong Kong with honors, where his research was focused on International trade. Mikael has a long experience dealing with Asian investors to Canada and has been the Managing-Partner of a Canadian Law firm in China from 2009 to 2015. He collaborated with investment funds in Canada, USA and Europe on cross-border transactions, including financing and acquisitions of overseas entities. Mikael was a lecturer at the Desautel management faculty of McGill University. He now leads Well Asia Group as president and is the COO of WEllfunded Enterprises. Victor is the CEO International of ONE Championship & CEO of ONE Elite Agency. ONE is Asia’s largest sports media property. It is broadcast to 138 countries and hosts 42 events across Asia. It is backed by Temasek & Sequoia, and is currently valued at $1 Billion. Born and raised in Edmonton, Alberta, Victor has spent 20+ years in the sports media industry, working with the Olympics, Commonwealth Games, PGA Tour, and ESPN. Donghai Du is currently Vice President Marketing (North Asia) of Canpotex Ltd and General Manager of Canpotex Trading (Shanghai) Co. Limited. Donghai joined Canpotex in Vancouver in 2012 and worked on various marketing roles since then. Before he joined Canpotex, Donghai worked for a few multinational mineral resources companies selling mineral products to China. Donghai has a Ph.D degree in Geologoy and a masters degree in Management. Veronique joined National Bank in 1997. From 2000 to 2008, Veronique was in charge of the Bank’s Quebec Investor Immigrant Fund in Greater China. Then starting from 2009, Veronique has been the Chief Representative in Asia for National Bank, in charge of the FI relationship, trade finance and business development in the Asian market. Tony is from Toronto and is a University of Western Ontario graduate. He has been in China since 2009, and in Shanghai since 2013. In 2014, he started a company that has grown into a successful diversified trading company with 20+ employees doing direct trade between Canada and China. 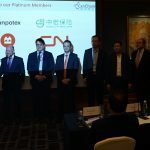 He was a 2017-2018 Board Member at the Canadian Chamber of Commerce in Shanghai. He is now advising and consulting Canadian companies looking to do business in China and he is committed to stay in China to develop new opportunities and face new challenges. Gabriel Lagunes was appointed CN’s General Manager Asia effective July 1, 2018, based in Shanghai, China. In his new role, he oversees business development, freight forwarding operations and public relations throughout Asia, driving forward CN’s successful business agenda to date. He joined CN in 2006. Gabriel began his transportation career with Maersk Line in 1997 in Mexico and then Canada. Gabriel holds a bachelor’s in international Trade from the National Polytechnic Institute in Mexico, an MSc Transport Engineering and Operations from the University of Newcastle upon Tyne in the UK, and an MSc (honours) Transport and Maritime Management from the University of Antwerp in Belgium. Jean-François Lépine is an eminent journalist who is now Director of Québec Government offices in China. Before moving to Shanghai, he was an international analyst, speaker and associate in communication and government affairs at Avistra International Inc. He is recognized as an exceptional analyst and communicator. A foreign correspondent for CBC/Radio-Canada in Beijing, Paris and Jerusalem from 1982 to 1990, he came back to Canada in 1990 to host popular public affairs television programs on CBC/Radio-Canada until 2013. He was also chair of the Middle Eastern and North African at the Université du Québec à Montréal and a member of Montréal International’s Board of Directors until 2015. His outstanding work both as a reporter and TV show host has been recognized by numerous awards. In June 2012, he was appointed Officer of the Order of Canada. Ms. ZHANG Kai became General Manager and CEO of Manulife-Sinochem in February 2016. Before that, she was EVP and Head of Consumer Bank at Citi China. Kai has over 20 years of financial services experience in North America and Asia. She joined Citi’s Corporate Strategy and M&A Group in New York in 2004, and later took the role of Regional Head of Sales and Distribution with Citi Asia Pacific Consumer Bank in 2006. Prior to joining Citi, Ms. Zhang worked as a management consultant with McKinsey & Company (New York) and an actuarial analyst with Watson Wyatt Worldwide (Washington, D.C.).